Measured by true standards and values, the Apostle Paul was the greatest man who ever lived on this earth, with the single exception of the God-man, the Lord of glory, the Second Man from heaven. Whether or not this is our unanimous opinion we are all agreed that Paul was “Number One” Christian. He won all the rewards and crowns that it is possible for a Christian to win. “FOR WE PREACH NOT OURSELVES, BUT CHRIST JESUS THE LORD; AND OURSELVES YOUR SERVANTS FOR JESUS’ SAKE. “ “BUT BY THE GRACE OF GOD I AM WHAT I AM: AND HIS GRACE WHICH WAS BESTOWED UPON ME WAS NOT IN VAIN; BUT I LABOURED MORE ABUNDANTLY THAN THEY ALL: YET NOT I, BUT THE GRACE OF GOD WHICH WAS WITH ME.” “AND I THANK CHRIST JESUS OUR LORD, WHO HATH ENABLED ME, FOR THAT HE COUNTED ME FAITHFUL, PUTTING ME INTO THE MINISTRY.” “AND THE GRACE OF OUR LORD WAS EXCEEDING ABUNDANT WITH FAITH AND LOVE WHICH IS IN CHRIST JESUS.” “HOWBEIT FOR THIS CAUSE I OBTAINED MERCY, THAT IN ME FIRST JESUS CHRIST MIGHT SHEW FORTH ALL LONGSUFFERING, FOR A PATTERN TO THEM WHICH SHOULD HEREAFTER BELIEVE ON HIM TO LIFE EVERLASTING.” “FOR I SPEAK TO YOU GENTILES, INASMUCH AS I AM THE APOSTLE OF THE GENTILES, I MAGNIFY MINE OFFICE.” “BE YE FOLLOWERS OF ME, EVEN AS I ALSO AM OF CHRIST.” “ACCORDING TO THE GRACE OF GOD WHICH IS GIVEN UNTO ME, AS A WISE MASTERBUILDER, I HAVE LAID THE FOUNDATION, AND ANOTHER BUILDETH THEREON. BUT LET EVERY MAN TAKE HEED HOW HE BUILDETH THEREUPON.” II CORINTHIANS 4:5—I CORINTHIANS 15:10—I TIMOTHY 1:12,14,16—ROMANS 11:13—I CORINTHIANS 11:1 AND I CORINTHIANS 3:10. Paul was Christ’s man. Note Paul’s words in Acts 21:13 and Acts 20:24. Then note what Paul wrote at the end of his stormy career after many years of faithful and fruitful service. “For I am now ready to be offered, and the time of my departure is at hand. I have fought a good fight. I have finished my course, I have kept the faith: Henceforth there is laid up for me a crown of righteousness, which the Lord, the righteous Judge, shall give me at that day; and not to me only, but unto all them also that love His appearing.” II Timothy 4:6 to 8. Note how this same truth is stated in Acts 13:29 and 30. When the Lord Jesus Christ had fulfilled all that had been prophesied in the Old Testament Scriptures concerning His suffering, when Israel had done to Christ all that Israel’s prophets foretold, Christ was taken down from the tree (Calvary) and laid in the sepulchre. But God raised Him from the dead. Then Christ after His death shewed Himself alive by many infallible proofs. He appeared to more than five hundred brethren. “AND LAST OF ALL HE WAS SEEN OF ME ALSO, AS OF ONE BORN OUT OF DUE TIME.“ I Corinthians 15:8. Paul was one born out of due season. Paul declared that he had personally seen the resurrected Christ. There is no hint that Paul, as Saul of Tarsus, ever saw Jesus of Nazareth while He was the Man approved of God in the midst of Israel by miracles and signs. Acts 2:22. Paul declared, in Romans 15:8, that Jesus of Nazareth was in the midst of Israel with a “confirmation” or “fulfillment” ministry. Note how the Lord Jesus stated this before His death and then right after His resurrection. “Think not that I am come to destroy the law, or the prophets; I am not come to destroy, but to fulfill. For verily I say unto you, Till heaven and earth pass, one jot or one tittle shall in no wise pass from the law, till all be fulfilled.” Matthew 5:17 and 18. “Then opened He their understanding, that they might understand the Scriptures, And said unto them, Thus it is written, and thus it behooved Christ to suffer, and to rise from the dead the third day: And that repentance and remission of sins should be preached in His name among all nations, beginning at Jerusalem.” Luke 24:45 to 47. Paul went into the Jewish synagogues of Asia and Europe preaching this “confirmation” message, proclaiming Divine truth that had been prophesied by the Lord’s prophets, from Moses to Malachi. Note how he stated this fact in his own defense – “Having therefore obtained help of God, I continue unto this day, witnessing both to small and great saying none other things than those which the prophets and Moses did say should come: That Christ should suffer and that He should be the first that should rise from the dead, and should shew light unto the people, and to the Gentiles.” Acts 26:22 and 23. Note the “none other things,” the death and resurrection of Christ, and light unto Jews and Gentiles. See Paul at work in this ministry in the Jewish synagogue. “And Paul as his manner was, went in unto them, and three sabbath days reasoned with them out of the Scriptures opening and alleging, that Christ must needs have suffered, and risen again from the dead; and that this Jesus, Whom I preach unto you, is Christ.” Acts 17:2 and 3. From the synagogue in Thessalonica, he went immediately to a synagogue in a nearby town, Berea. Note the results: “Therefore many of them believed; also of honourable women which were Greeks, and of men, not a few.” Acts 17:12. With this statement we should read I John 2:26 and 27. In these verses we learn that the Holy Spirit is God’s infallible teacher. No Christian has a monopoly on the Holy Spirit. All human teachers are fallible. The Holy Spirit is the infallible teacher. Human interpretations of the Scriptures may be faulty but the Scriptures are infallible. The Lord has selected and endowed some men to be special messengers and teachers to members of the Body of Christ. Ephesians 4:8 to 14. But He wants all members of that Body to be Bereans; to receive with meekness and with all readiness of mind the Word of God from the servant of the Lord, and then to prayerfully, diligently, and spiritually search the Scriptures to see whether those things be true. Never was such an attitude more necessary than today, when the Church of Christ is torn asunder with sectarianism and the confusion of doctrines. Let us ever be Bereans. Those Bereans searched the Scriptures when Paul preached to them “confirmation” truth; that is, when Paul preached what Christ had done in fulfillment, of the prophecies recorded in the thirty-nine Books in the Old Testament Scriptures. We might say what was in fulfillment of the thirty-eight Books of the Old Testament and Genesis; for there is not a line of the Old Testament in Genesis. The Old Testament began with Exodus 20. Now right here, let us be Bereans and see whether this be true. We have observed that Jesus Christ, the Son of David, the Son of Abraham (Matthew 1:1), was in the midst of Israel with a “confirmation” ministry. Romans 15:8. Now note the statement concerning the ministry of Peter and the Eleven. Peter with the Eleven stood up on the day of Pentecost to address devout Jews from every nation under heaven. Acts 2:14 and 2:5. They had a message for “ye men of Judaea”, “ye men of Israel”, for “all the house of Israel.” Acts 2:14— Acts 2:22— Acts 2:36. The Twelve addressed Hebrews. Now note Hebrews 2:3 and 4. The Twelve confirmed the “confirmation” ministry of Jesus of Nazareth. Be a Berean. Carefully study the ministry of the twelve apostles, in the first twelve chapters of Acts, and you will learn that everything that Peter and the Eleven preached to Israel and the household of Cornelius was in fulfillment of prophecies by Israel’s Old Testament prophets. As Christ’s “confirmation” ministry was accompanied by signs, so also was the “confirmation” ministry of the Twelve. Now by way of contrast let us be spiritual Bereans and carefully consider this unique statement of Paul, in Ephesians 3:8. We learned, in Acts 17:11, that the noble Bereans searched the Old Testament Scriptures to see if Paul was telling the truth. He was preaching prophesied truth. But what would those noble hearers in Berea have done, if Paul had preached to them “the unsearchable riches of Christ”? They simply could not have done any searching with success. Why? Because what Paul wrote in the third chapter of Ephesians was never made known by Israel’s prophets of old, nor made known to them. Therefore the Holy Spirit gave to Paul the word “unsearchable”. Note how Paul stated this truth in Colossians 1:25 and 26. Very interesting this. New Divine truth, truth about which all of Israel’s prophets, priests and kings had been silent and ignorant, was given by revelation to Paul to fulfill (complete) the Word of God. The Holy Spirit calls the new Divine truth, the new revelation to Paul, “the Mystery” or “the Secret”. Whose Secret had it been? God’s own sacred Secret. “AND TO MAKE ALL MEN SEE WHAT IS THE DISPENSATION OF THE MYSTERY, WHICH FROM THE BEGINNING OF THE WORLD HATH BEEN HID IN GOD, WHO CREATED ALL THINGS BY JESUS CHRIST.” Ephesians 3:9. “HAVING MADE KNOWN UNTO US THE MYSTERY OF HIS WILL, ACCORDING TO HIS GOOD PLEASURE WHICH HE HATH PURPOSED IN HIMSELF.” Ephesians 1:9. “Hid in God”. The mystery of God’s will. But the Lord Jesus made known that Secret, and God is eager that every member of the Body of Christ should know that Secret. Note the very clear statement concerning God’s stewards, in I Corinthians 4:1 and 2. “Let a man so account of us, as of the ministers of Christ, and stewards of the mysteries of God. Moreover it is required in stewards, that a man be found faithful.” If you claim to be a minister of Christ, you should be a steward of the mysteries of God. What are you doing about obeying Ephesians 3:9? But at the same time, let us know the difference between fulfilling the law and the prophets concerning the kingdom of heaven, and fulfilling, or completing the Word of God with that Divine truth, not included in the law and the prophets. That Divine truth is called “the unsearchable riches of Christ” among the Gentiles. “For this cause I Paul, the prisoner of Jesus Christ for you Gentiles, If ye have heard of the dispensation of the grace of God which is given me to you-ward: How that by revelation He made known unto me the mystery; (as I wrote afore in few words)." Ephesians 3:1 to 3. Then note Ephesians 3:11. The “Mystery” is called “the eternal purpose of God in Christ Jesus”—“The unsearchable riches of Christ”. “The Mystery of God’s will”.—“The Mystery hid in God.”—“The mystery not made known to the sons of men in other ages”.—Note how this blessed Divine truth is stated in II Timothy 1:9. It was not God’s desire or will to make known this special truth concerning the hope and calling, position and possessions of members of the Body of Christ, from the time He talked with Adam, in Eden, until after the twelve apostles had completed their ministry in the first half of the Book of Acts. Then it was time for God to disclose His Secret. This His Son did, telling Paul all about it. Christ caught Paul away to paradise and revealed to Him many truths that no one on earth had ever heard. II Corinthians 12:1 to 6. The “Unsearchable Riches of Christ” had to do with the truth of Romans 8:28 to 30, and I Corinthians 2:7. This blessed truth is not explained in detail, in Romans and Corinthians, but it is in Ephesians, Colossians, Philippians, II Timothy, and other Pauline Epistles. One phase of the Secret is presented in Romans, the eleventh chapter, the fact that the casting away of Israel brought reconciliation for Gentiles. Romans 11:15. 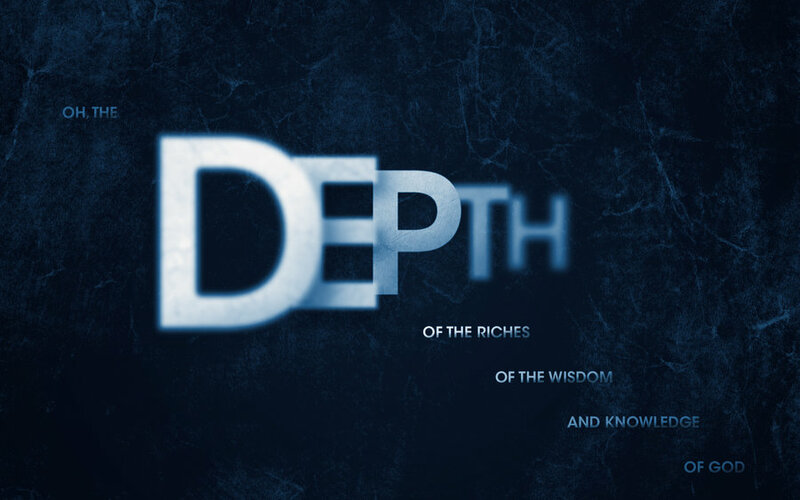 “O THE DEPTH OF THE RICHES BOTH OF THE WISDOM AND KNOWLEDGE OF GOD HOW UNSEARCHABLE ARE HIS JUDGMENTS, AND HIS WAYS PAST FINDING OUT!” Romans 11:33. This word “unsearchable” is an altogether different word from the “unsearchable” of Ephesians 3:8, concerning “the unsearchable riches of Christ”. But it is interesting to note that the “unsearchable” of Ephesians 3:8 is the same Greek word translated, in Romans 11:33, “past finding out”. Then how are we to reconcile “past finding out” with Ephesians 1:9, “having made known the Secret of His Will?” The explanation is, that Romans was written several years before Ephesians was written. Note Ephesians 3:3, “as I wrote afore in few words.” But then follows the revelation of that Divine truth that had been past finding out. Note why the Lord wants every member of the Body of Christ to know the difference between the searchable riches of Christ and the unsearchable riches of Christ. “That we henceforth be no more children, tossed to and fro, and carried about with every wind of doctrine, by the sleight of men and cunning craftiness, whereby they lie in wait to deceive.” Ephesians 4:14. It was with particular reference to this all-important distinction that Paul wrote II Timothy 2:15. But let us be assured that we must still pray and heed the prayer of Ephesians 1:17 to 23, if we would know God’s Divine truth for this a parenthetical period, this dispensation of the grace of God, “the dispensation of the mystery.” We quote Ephesians 1:17 to 19. In the messages printed in this volume, it is our desire and purpose to compare the “confirmation” ministry of Christ, of the Twelve and of Paul, with the “revelation” ministry of Paul, building up from the foundation to the capstone of Divine truth. Certainly, if God tells us “to test things that differ”, we should know the difference between “the gospel of the kingdom”, “the gospel of the grace of God,” and “the mystery of the gospel,” for which Paul was in the Roman jail. “And for me, that utterance may be given unto me, that I may open my mouth boldly, to make known the mystery of the gospel, For which I am an ambassador in bonds; that therein I may speak boldly, as I ought to speak.” Ephesians 6:19 and 20. Quite frequently we hear a preacher remark, “Christ is coming for His Church”, and then “Christ is coming with His Church”, stating dogmatically that the Church of the Mystery will not go through the tribulation. In the very next message they will preach on political signs to prove that Christ will soon come for His Body, and then ignorantly preach the Church right into the tribulation because they do not know the difference between the “searchable” and the “unsearchable” riches of Christ. Is it any wonder their followers are in such utter confusion? Will you be a Berean ?